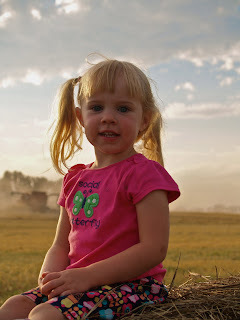 We might live 90 miles from Wal-Mart, Starbuck’s and McDonald’s but this is a great reminder why we do, four generations of family in one farm field. 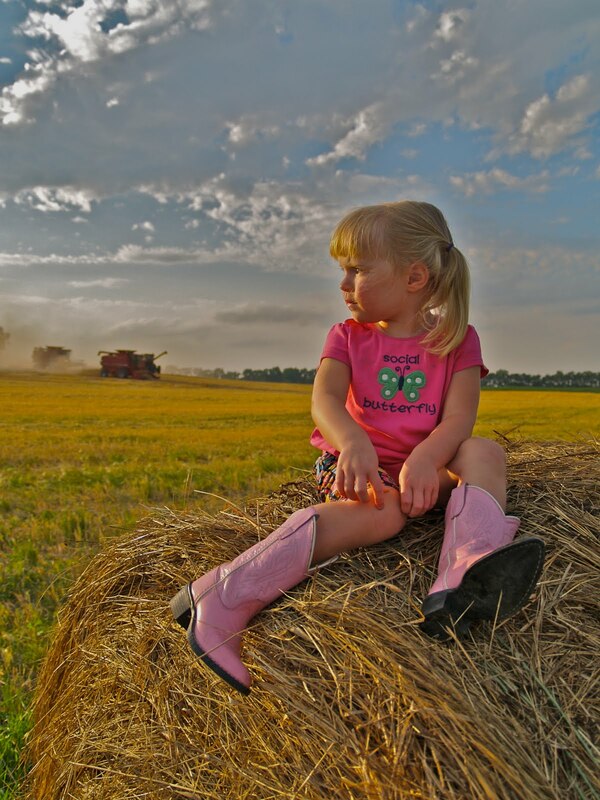 It is a life experience that you cannot get in the suburbs of New Jersey or in downtown Chicago but on the prairies of North Dakota our kids know this every day life as their own. For that I am grateful for our farming family and the livelihood that is carried on across four generations in North Dakota. these are great photos! the clouds are perfect! along with the light and all the amber colors! Not to mention the beautiful little girl! Lovely pictures! 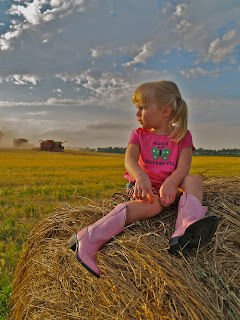 Wonderful connection of the kids with older generations and their industry heard about those pink boots and I just had to see them! Lovely! Wow! What amazing photos!!!! 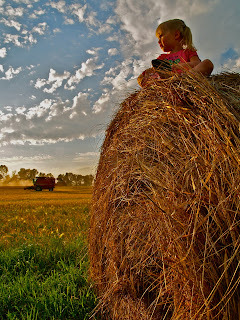 I am not a country girl, but these photos could convince me otherwise for sure! !